Why would I need self storage in Opa-Locka, FL? There are a variety of reasons why you might need self-storage in Opa-Locka, FL. How much is a storage unit in Opa-Locka, FL? The cheapest storage unit in Opa-Locka, FL is $39.00 per month. What size storage units do you have available in Opa-Locka, FL? In Opa-Locka, FL we have sizes that range from 5'x4' to 10'x30' to suit your storage needs. How much is it for a 5'x4' storage unit in Opa-Locka, FL? The cheapest 5'x4' storage unit in Opa-Locka, FL is $59.00 per month. Opa-locka is a small city in Florida's Miami-Dade County, located near the cities of Miami and South Beach. It's home to a relatively small population but has experienced an impressive growth rate that has outpaced the Florida state average. The Opa-locka community is well-known for its cultural diversity and was the first city in the nation to commemorate President Barack Obama's historic election as the first African-American president. Opa-locka was first envisioned as an urban-residential area by Glen Curtiss, an aviator. His inspiration stemmed from the literary classic "One Thousand and One Nights." 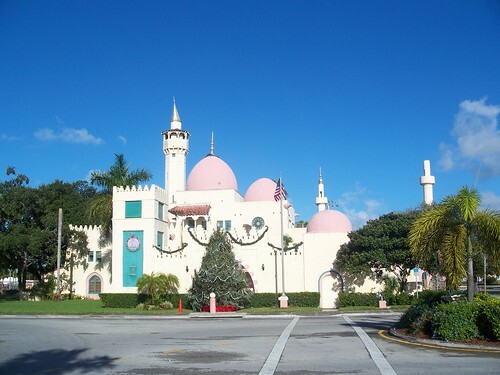 Many of the buildings in Opa-locka reflect a distinctly Arabian feel, and the city possesses the largest collection of Moorish revival architecture in the Western Hemisphere. Throughout the city, streets names carry forward the Arabian theme, including Sabur, Ali Baba and Aladdin. Opa-locka's city hall is one of the most unique city hall buildings in the country, topped with distinctive pink domes that distinguish it as one of the most easily-recognizable buildings in the city. Residents in Opa-locka enjoy a pleasant small-city atmosphere but with all the conveniences and attractions you find in larger cities. There's a central downtown strip complete with convenience stores, grocery stores, cafes, shops, restaurants and entertainment venues. Just blocks outside the downtown strip, the city's pace slows to accommodate residential streets draped in palms with grassy lawns, offering a quiet neighborhood setting. Miami and all of its major attractions are just 45 minutes away. You have easy access to world-class restaurants, professional sports events like Miami Heat basketball, cultural events and a thriving South Beach nightclub scene. Opa-locka is right off Interstate-95, making it easy to drive to Miami Beach, downtown Miami and Fort Lauderdale to the north. Students in Opa-locka attend Miami-Dade County Public Schools. The district runs several schools in Opa-locka from elementary level through high school. Utilities: Opa-locka utilities are split between Florida Power & Light (FPL) and the city's utilities department. Garbage and Recycling: Trash is collected curbside throughout all residential areas of Opa-locka, as are bulk items. Transportation: The Opa-locka Express Circulator offers two fixed routes throughout the city. You can also take advantage of a few Metrobus lines that provide connections to nearby cities. There are a variety of housing options available in Opa-locka, including a balance of single-family homes, townhouses, apartments and larger multi-family homes. The homes are very affordable in this part of the greater Miami metropolitan area, though prices are rising quickly. If you'd prefer to rent, average rent prices are also fairly inexpensive compared to prices in neighboring cities. Our lowest priced units in Opa-Locka, FL average $63.33 per month. 190 people have reserved units in Opa-Locka, FL in the past 30 days. There are 3 locations within Opa-Locka, FL's city limits. There is 1 location in Opa-Locka, FL that offers AC and Heating features.